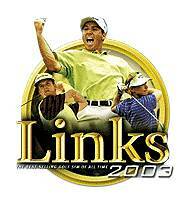 This site originated primarily as a resource centre for the PC game Links 2003, the excellent golf simulation game by Microsoft, and i find it still the best golf game there is. The area of the site contains information, news, reviews and profiles of the most highly rated golf courses that have been made available for this realistic simulation. Below are links to some of the best APCD custom made courses you can find for this game.